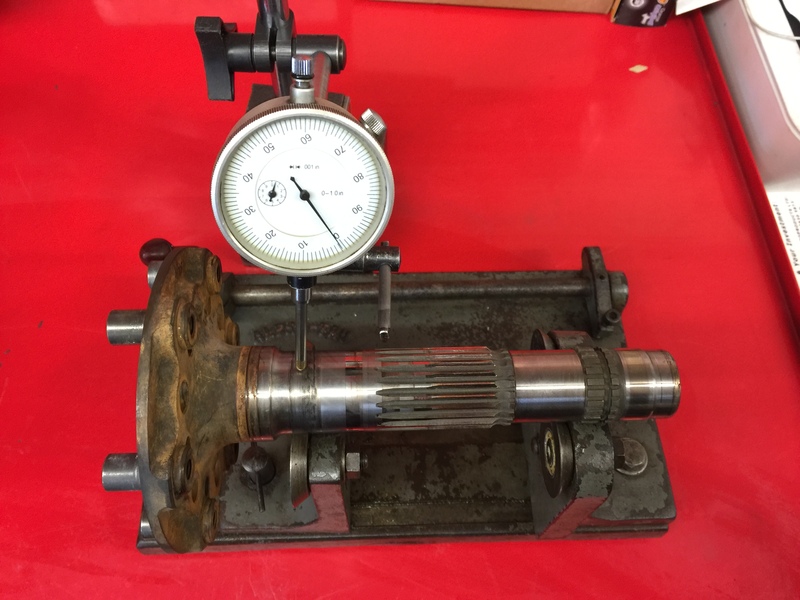 Eccleston Aviation have all the required tools to service, repair & shock load test your Rotax gearbox, We would highly recommend haveing your gearbox serviced before the scheduled maintenance is required as we have seen instances of heavy gearbox wear before the 600hr service (non slipper) & before the 1000hr service (slipper). 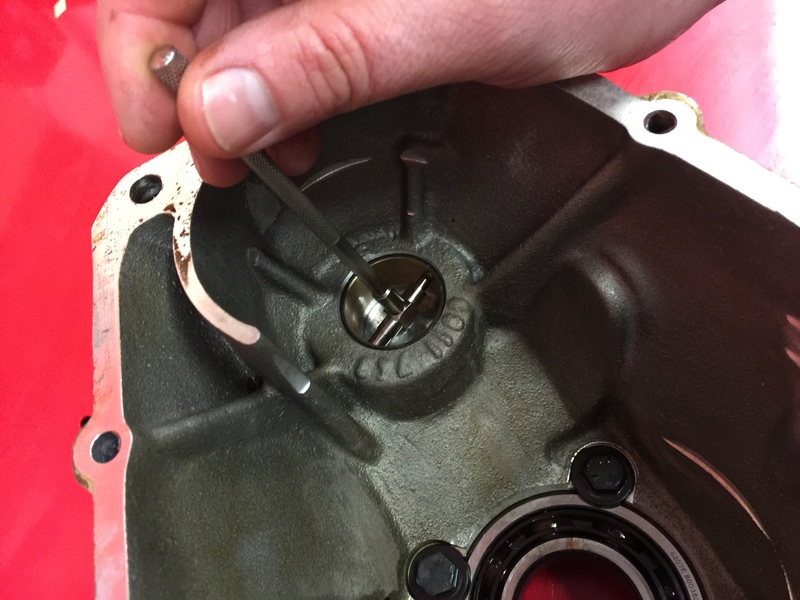 If you are unsure how to check if your gearbox has a slipper clutch, the easiest way to find out is by locking the crankshaft with the special Rotax locking tool, this is achieved by having the piston of no.1 cylinder at top dead centre to allow the locking pin to correctly seat in the groove of the crankshaft web. 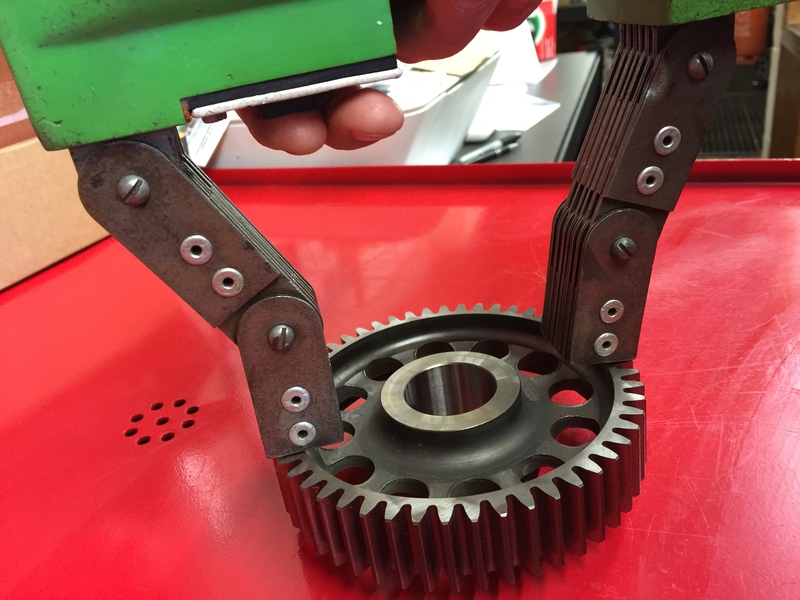 If there is a slipper clutch installed in the gearbox you will have around a 30 degree rotation of the propellor, this is also how you check the friction torque on the gearbox. 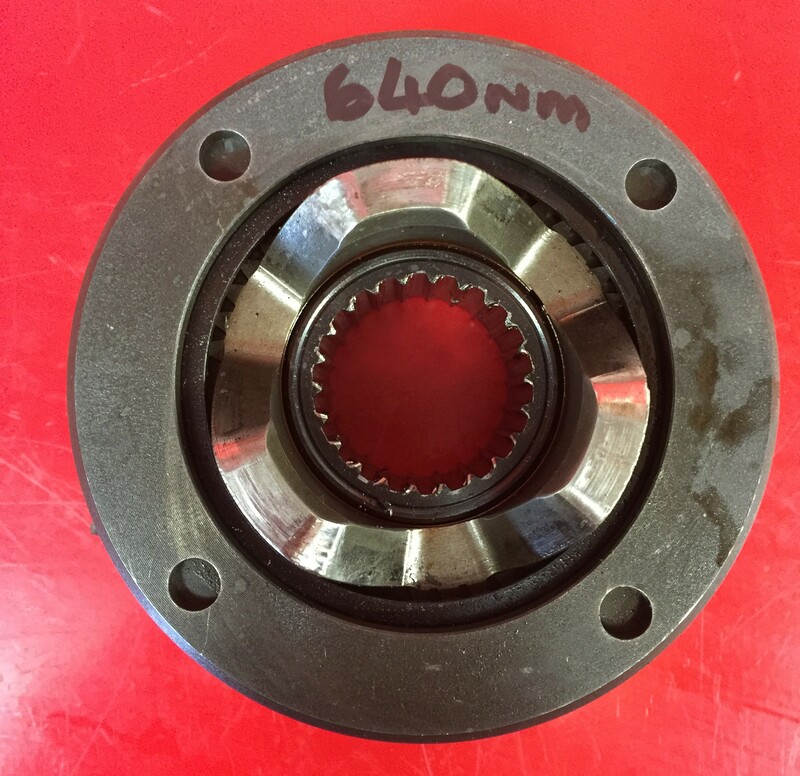 If no slipper clutch is fitted there will be almost no movement present. 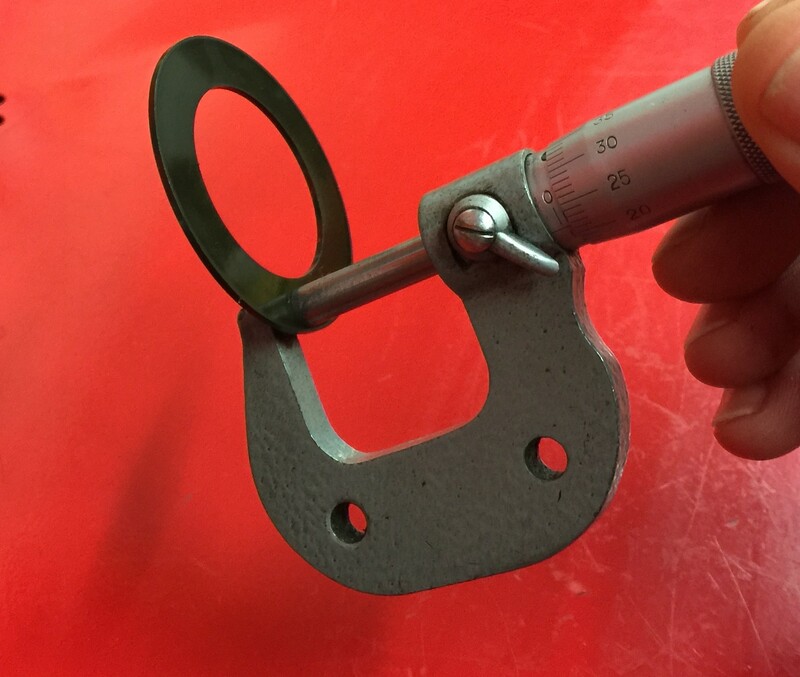 To check the friction torque of your Rotax gearbox you will need to lock the crankshaft using the special tool as previously mentioned and measure 0.5m out from the centre of the propellor, place a suitable strap around the blade that will not cause damage and use a weight scale to pull the blade through the 30 degree rotation. this should be done a few times to get an average reading. 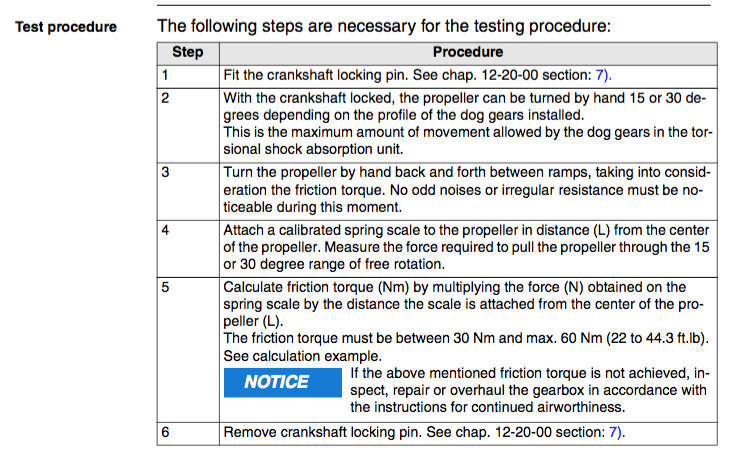 make sure to make a note of the force required to get the gearbox to "slip" if it pulls 8kg for example that would be a friction torque of 40nm for an example. Rotax specify that the slip should be between 30-60nm but from experience I would not allow one below 35nm. 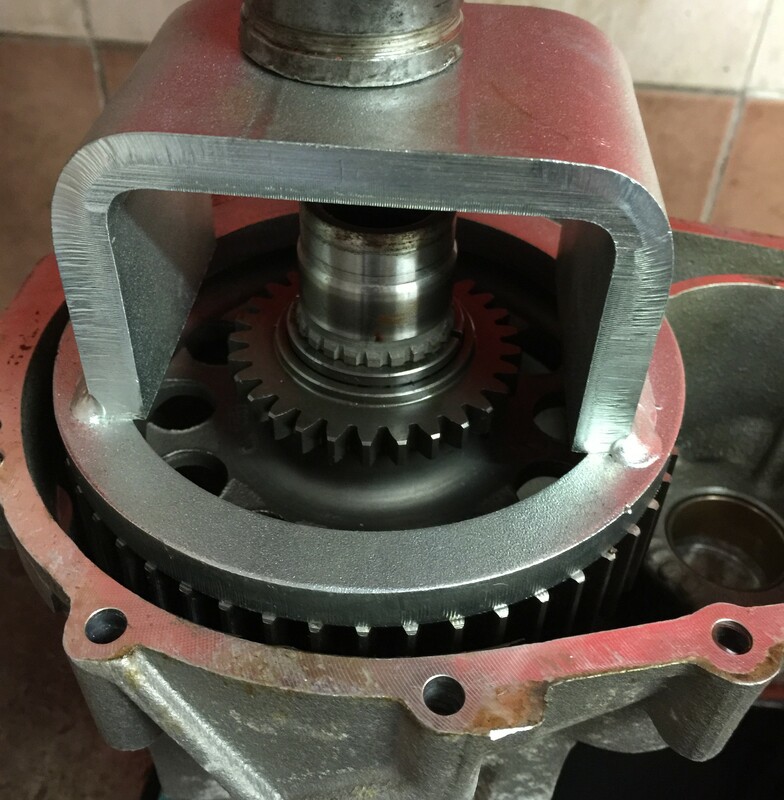 ROTAX GEARBOX SERVICING CARRIED OUT IN ACCORDANCE WITH THE ROTAX MAINTENANCE MANUALS. 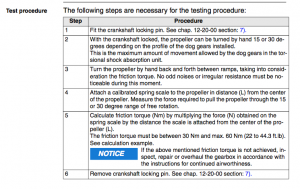 Eccleston Aviation have all the required tools to carry out a full service or shock-load test to your Rotax gearbox. 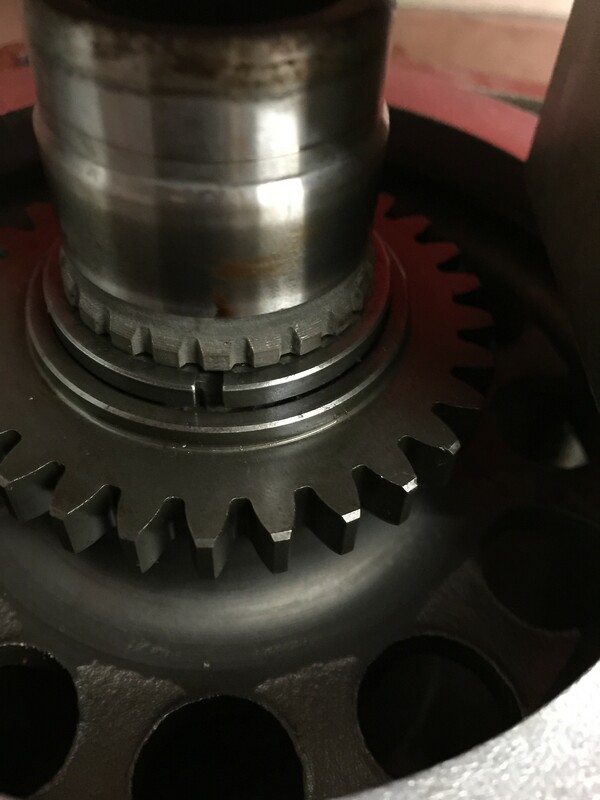 Here you can see how the Rotax half rings are removable after compressing the belleville wasers, to strip & check the gearbox to ensure correct pre-load. Here we are checking the height of the Belleville washers to ensure they are still servicable. 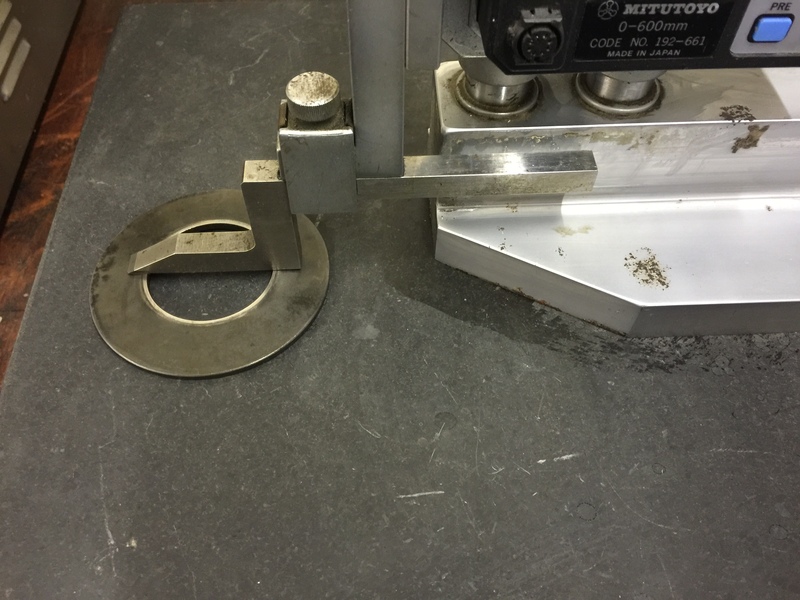 Checking the friction washer for wear. 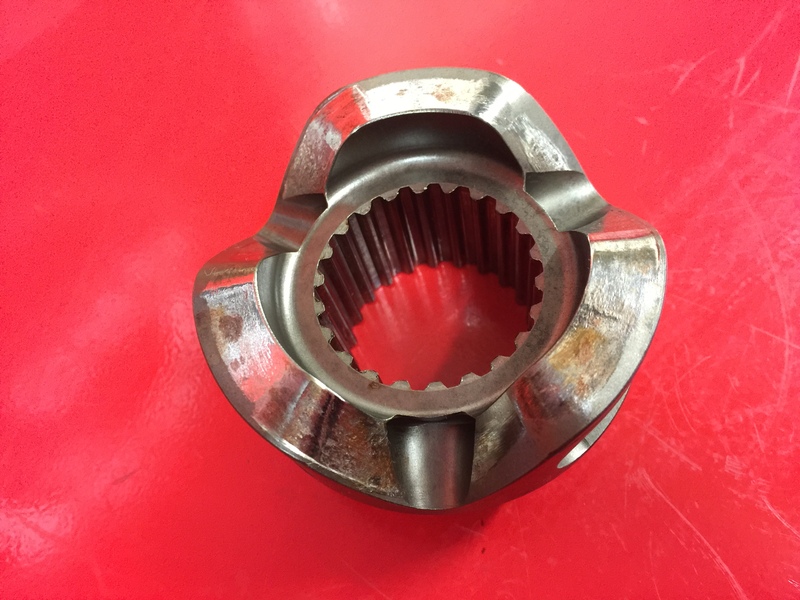 Checking of the PTO gearbox housing bushing for out of round & tolerance. Here you ban see the excessive wear on the dog hub ramps. 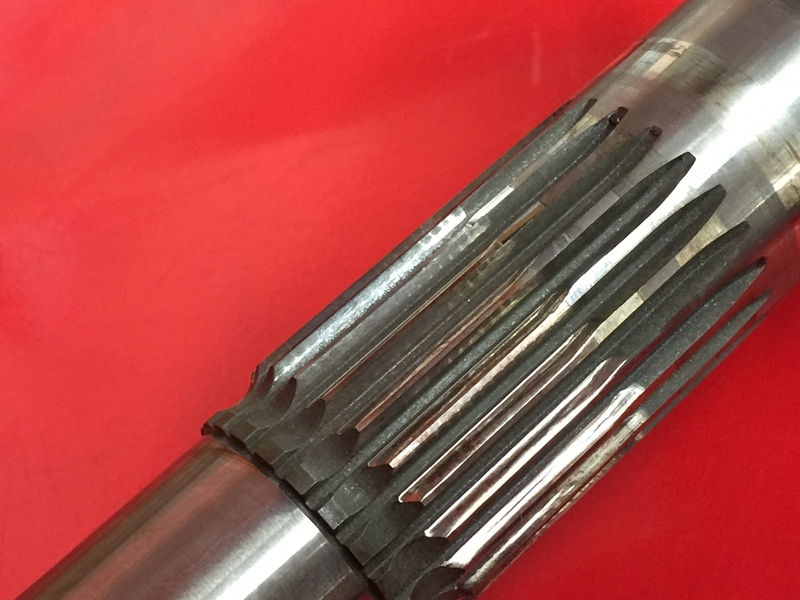 Checking of the propellor shaft for true. Magnaflux checking of the gearbox is required after a propellor strike. Wear on the propellor shaft is clearly visable. 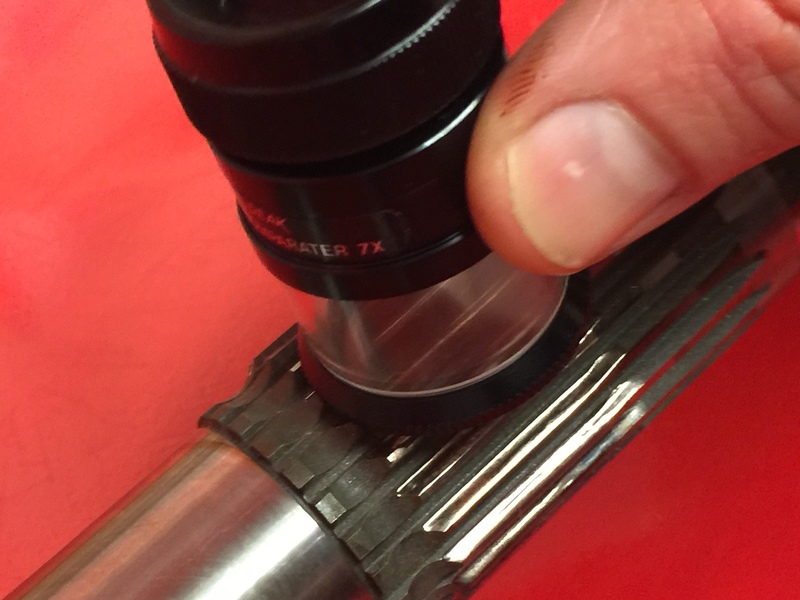 Closer inspection through a measuring loupe reveals that the shaft is not serviceable.